Been looking for a Windermere address? Your search is over!!! 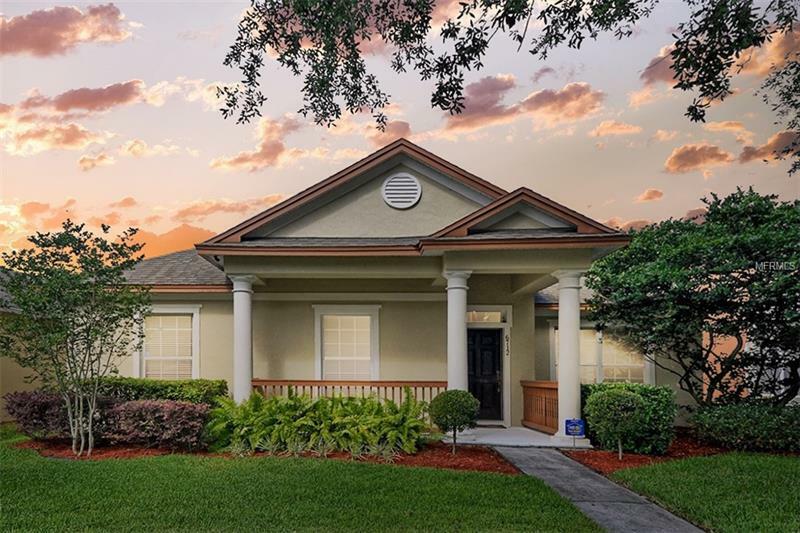 Charming 3 bedroom, 2 bath, with additional den/office located in the peaceful, tranquil neighborhood of Lakes of Windermere. This One Owner lovingly maintained single family in Move-In condition is now available due to corporate relocation. Beautiful mature landscaping and front porch set the stage for welcoming curb appeal. Upon entering you'll be impressed with the spacious living/dining area with many light filled windows, arched doorways and easy maintenance tile flooring. The heart of the home is perfect for entertaining with the family/dinette and kitchen combo. The kitchen boasts numerous cabinets, island with breakfast bar, Silestone counters, backsplash, pantry, recessed lighting and appliances. Master bedroom with tray ceiling, walk-in closet, and bath with dual vanities, garden tub and separate shower. On the opposite side of the home youâll find 2 additional bedrooms with wood flooring and full bath. A separate office/den is also located at the front of the home. Some additional features are solar hot water heater, alarm system, and security cameras. The rear screened porch is perfect for relaxing or enjoy the many amenities this community has to offer including pool, tennis, sand volleyball and basketball courts, playgrounds and fishing pier all with low HOA fees. Location Plus! A+ Schools, and close proximity to shopping, theme parks and major highways, make this a must see property!